Feel like a HERO! 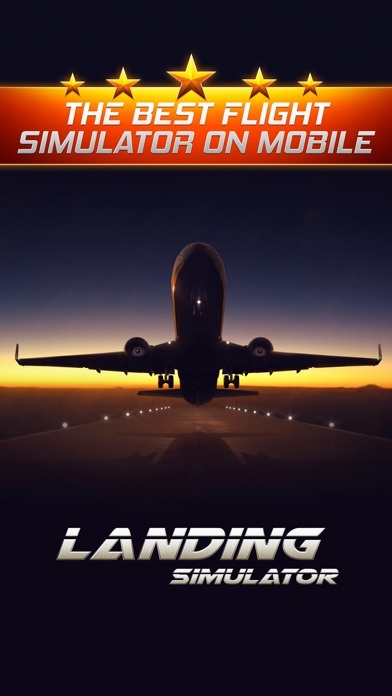 face dangerous situations, land safely and save everyone! + Immersive scenarios: bad weather, aircraft failures and extreme conditions. 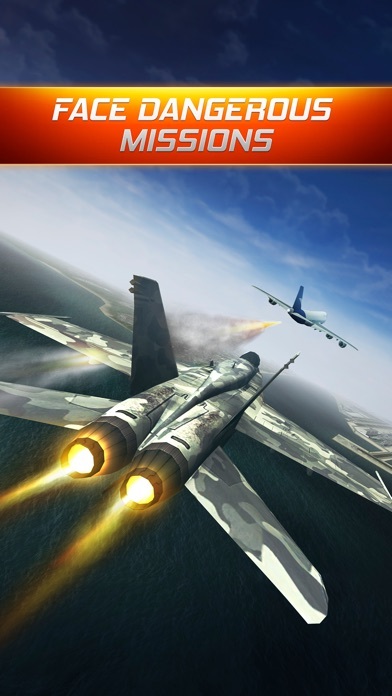 + Fun and challenging missions + Beautiful scenarios with incredible graphics. 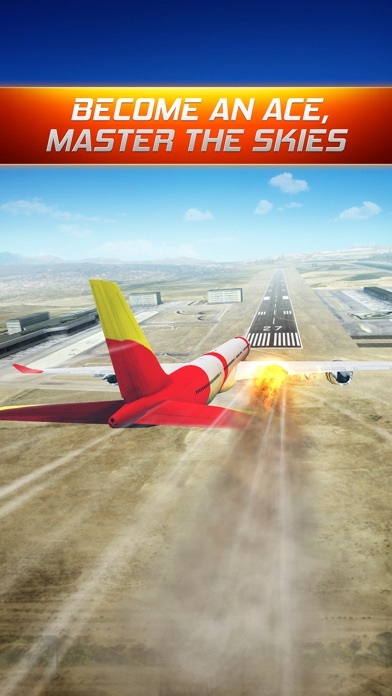 + Many realistic planes to try + Simple but realistic controls Download now and don't miss amazing updates! COMING SOON: NEW LEVELS AND PLANES! ● What our players are saying - This is a great game. Easy to play and an easy way to kill some time in between appointments. A must have. I spend hours playing this game. Simplistic but addicting! Love it - Very good game, but completely addicting. Finish whatever you have to before even starting. - The game is really fun. It's got all awesome graphics. It is definitely the best. I have never played such an awesome game. Whoever doesn't like this game has a problem. - That's right one of the best games I have ever played so if you are looking for a good time by just sitting around this is the app for you! - I just downloaded it and it's so fun and addictive I recommend this to people who like games on mobile devices. ● FREE games by the same developers - Sniper Shooter Arcade style and action packed shooting and battle game! Be a military fighter for justice, blast your targets and fight the criminal empire boss. Get all your guns and weapons but don't forget your bullets to get ready for extreme hunting! Millions of players worldwide, this is truly an all-time classic of mobile gaming. - Infection Bio War How does the rule of human race in planet earth end: Zombies? UFO? Nuclear warfare? NO! It will be a plague and you will the mastermind responsible to create and spread it. Sounds disturbingly fun? IT IS! Infection is a different kind of strategy game, one that you must experience yourself - Ninja Kid Run & Fun Race Run as fast as your can and become a ninja kid, the mighty endless runner! To become a master fighter, improve your martial art skills with crazy kung fu jumps and enhance your abilities with legendary pets and dragons from fantasy land! And last but far from least: compete against millions of other ninjas in the multiplayer! It's double, triple, 4x fun - Car Race 3D drag racing game featuring pixel perfect vehicles and scenarios. Challenge every street boss to become the new powerful ruler. Collect furious vehicles and upgrade their parts. Customize your car with vinyls and paintings. Cool, heh? But are you up to the challenge? - Jelly Jump The most amazing jumping adventure! An awesome blend of 2D platformer arcade game with beautiful 3D scenarios. Escape from all types of obstacles to complete the levels: holes, spikes and dangerous enemies. Very simple and intuitive controls: just tap anywhere to jump. Who needs a joystick to have fun these days? - Space Trails Puzzle Collect the items and kill the aliens! Classic pac-man maze meets unblock the piano tiles. The right mix of retro style arcade and challenging puzzler game. Feeling smart? Practice brain training and use logic to match and connect the safe tile path. - Celebrities Fun Challenge The game everyone is talking about! Look at the pictures and guess who the celeb is! Can you recognize the stars from TV, movies and sports? Play against your friends or random buddies. This is definitely not one of those boring word or number games! The game is good and everything but I think it could be a little more challenging especially the crash landings.I gave it five stars because I like it but I still think that it could be a little more challenging.I also wish that you could explore the map a little more.But all in all it’s a great game.They could also improve the graphics a little bit. 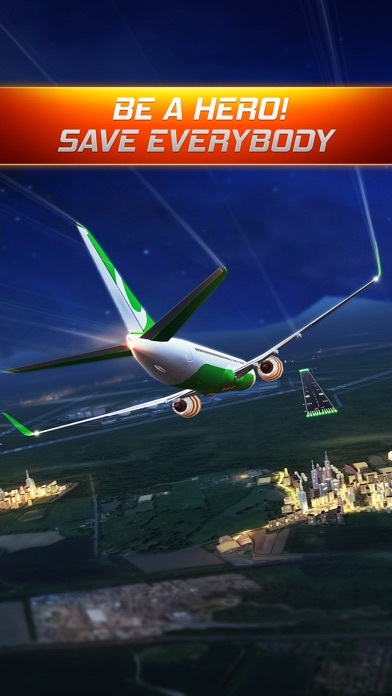 It is the best because it is a good game and they add upgrades And the best planes ever? This game is soooo good I like it so much! So there’s pretty good graphics and the games soooooo funnnnnnnn!!!!!!!!!!!!!!!!!!!!!!!!!!!!!!!!!!!!!!!!!!!!!!!!!!!!!!!!!!!!!!!!!!!!!!!!!!!!!!!!!!!!!!!!!!!!!!!!!!!!!!!!!!!!!!!!!! I like the game but it is 2 easy and after the meteor shower special at the Hamada airport the game stops and it's kinda boring cause all you can do is do levels u already did and you know what to do😱😥😨😞😳😒🤔WWWWWWHHHHHHHYYYYYYY???????????????????? This is a great game to play with your kids that want to fly!